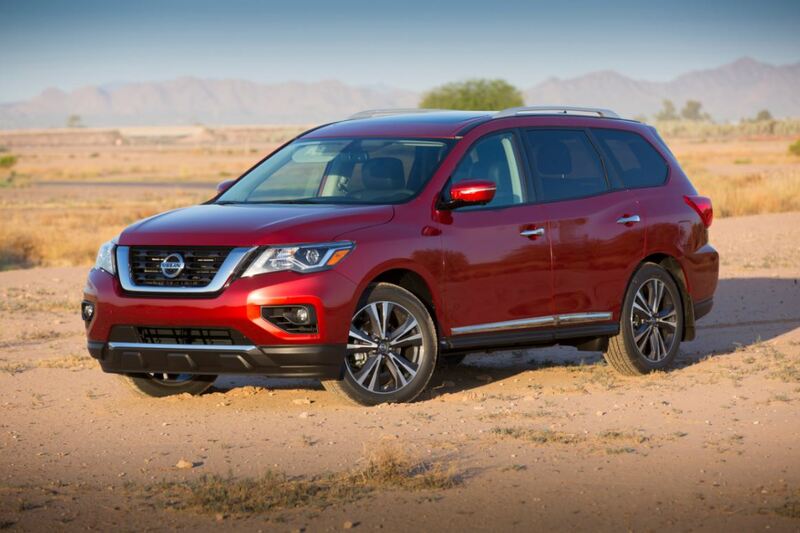 The 2017 Nissan Pathfinder is back and better than ever! Perfect for families who expect more out of an SUV, the new Pathfinder will tackle any paved path or off-road adventure with ease. For 2017, the all-new Pathfinder gets various upgrades. 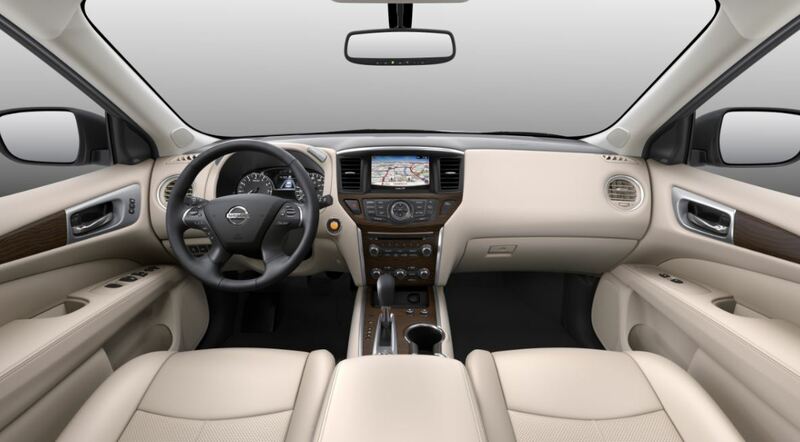 For starters, it comes with the same signature design elements introduced on the award-winning Maxima four-door sedan, including the new “V-Motion” grille and boomerang-shaped headlights with LED daytime running lights. S, SV and SL trims come standard with 18-inch alloys; the Platinum gets 20-inch wheels. Adding to the SUV’s visual pop is two new exterior colors: Sandstone and Caspian Blue. A brand-new 3.5-liter V6 that makes 284 horsepower propels the vehicle forward. When properly equipped, it is able to haul up to 6,000 pounds, offering plenty of power to haul your toys to the lake. “As part of Nissan’s ongoing, extensive research into consumers’ real-world towing activities, we’ve found that mid-size SUV owners really want the ability to tow two-axle recreational trailers, whether for watercraft, flatbeds or campers,” said Michael Bunce, vice president, Product Planning, Nissan North America, Inc.
Every new 2017 Pathfinder now also comes with an enhanced color display in the gauge cluster. Navigation can be had as standard on the top-level Platinum; it’s optional on the SL and SV. A rear entertainment system is also available on Platinum. Look for the 2017 Pathfinder to hit our store sometime this fall 2016. In the meantime, stop by and take one of our brand-new 216 Pathfinder models for a test drive – you’re sure to fall in love! 0 comment(s) so far on 2017 Nissan Pathfinder Is Ready to Dominate!